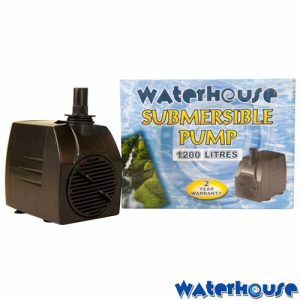 Pond Pumps are re-circulating and most often Submersible Pumps that power Waterfalls, Water Fountains and Pond Filters in Garden Ponds. Pond Pumps are the heart of the Pond, the main Pond Pump must run 24/7 to keep the Pond Water healthy and oxygenated and should consequently be chosen with care. Pond Pumps, Fountain Pumps and Waterfall Pumps have to be engineered for continuous duty (as opposed to a Sump Pump, for example, which only runs intermittently). Energy efficiency and durability are very important because Pond Pumps have to run continuously for many months. The savings that are realized by buying a low price pond pump could evaporate quickly through higher energy bills as well as the need for frequent replacement. Magnetic drive Pond Pumps are often a good choice because they are energy efficient, compact and durable – but they are not very good at lift higher than 4 or 5 feet. Direct Drive pumps are better able to lift water to higher elevations and pump very large volumes, but their energy efficiency tends to be lower. Recently some manufacturer’s have designed a new breed of “hybrid” Pond Pumps that utilize the best of magnet and direct drive to improve both lift and energy efficiency. The next consideration is the size of the Pond Pump needed to power the water feature of the Pond. Pond Pumps are rated by the litres per hour (lph) or per minute (lpm) produced at various heights. The top height the pump can lift the water up to is called “Maximum Head” or “Max Head”. The “Head” is measured straight up from the water level of them Pond. Any horizontal/diagonal flow is then measured by its length and 1′ of “Head” added per 10′ of horizontal/diagonal distance. 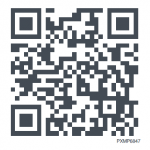 At “Max Head” a Pump only produces a thin stream or even drops of water (depending on Pump size). 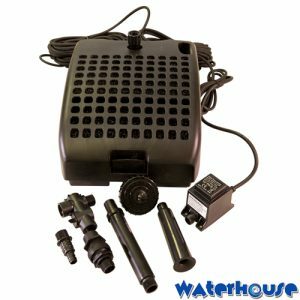 The chosen Pond Pump should be able to circulate at the very least half of the volume of pond water every hour (Koi Ponds need to turn over the water once per hour or more often). This means, for example, that a Pond that holds 500 litres should be powered at a minimum by a 250-lph Pond Pump. But if a Waterfall or Pond Filter is to be powered with the Pump, then the height and width of the Waterfall and/or the flow rate of the Pond Filter have to be taken into consideration. If a very high or powerful Waterfall is desired and it does not have an integrated Waterfall Filter, it is often advisable to power a separate Pond Filter with its own, correctly sized Pond Filter Pump. A Pond Pump powerful enough for a large Waterfall may be too much for the Pond Filter because some Pond Filters need slow water movement to be effective. Magnetic drive Pond Pumps are usually the best Pumps to power the Pond Filter. Pond Pumps that are not housed in a Pond Skimmer are sometimes subject to clogging due to debris inherent in established Ponds. Manufacturers have taken great pains to design new “clog resistant” and/or “solids handling” Pond Pumps. 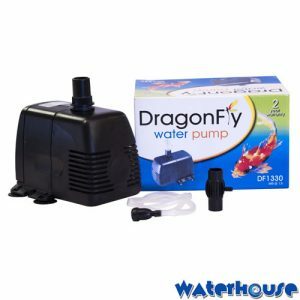 These pumps are now on the market and do a great job of reducing the need to clean the Pond Pump. These new, much more maintenance free Pond Pumps are available both as magnetic drive Pumps and direct drive Pumps.